San Diego Comic-Con is not only one of the most coveted conventions to attend but it also has spawned several worthy off-sites that an attendee can check out with or without a badge. One of them has been making waves for the past 4 years called Nerd HQ. 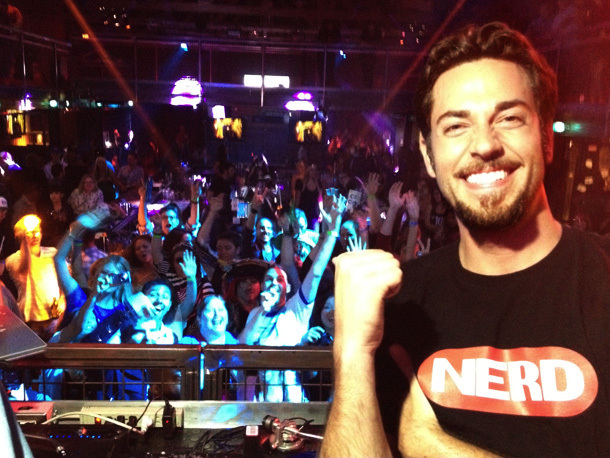 This heavyweight off-site is organized by geek favorite and dare I day, heartthrob, Zachary Levi of NBC’s Chuck, Disney’s Tangled, and the upcoming television revival of Heroes called Heroes: Reborn. What makes this off-site a heavy hitter is that money raised at this event, specifically for the special guest panel tickets, are donated to a worthy cause, Operation Smile. And this year is estimated to be the largest it has ever been, so why not check it out when you’re at the Big Show? Let’s go through the rundown before we chat about some tips and tricks that I can offer. This year’s 4-day event is being held during SDCC and located at a much bigger venue than in year’s past at The New Children’s Museum in downtown San Diego. And the event is entirely free to attend. Yup, that’s right, you can enter the event space for free as long as pair your smartphone with the app and activate the provided RFID bracelet on location. The benefits of the bracelet is you will be able to connect to the various tech and gaming activations, pictures taken at the Nerd HQ photobooths will be automatically sent to your provided email address, and you’ll be able to receive updates on the panels and charity photo opportunities held during the event. Keep tabs on their Twitter account for the news on when the new app is released. 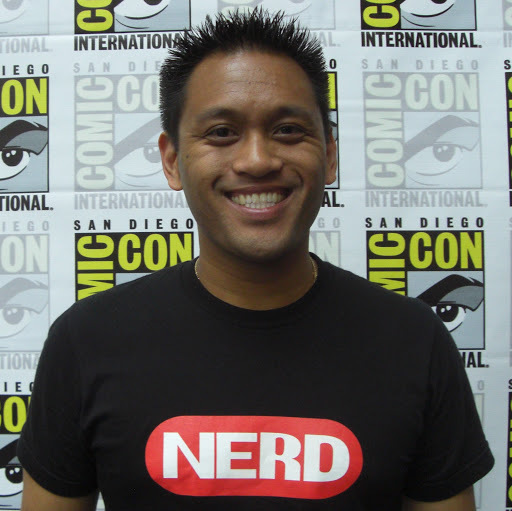 I’ve enjoyed attending Nerd HQ in my past SDCC experiences. Not only am I able to support a great charity but I also get to give back to one of my favorite actors and his company, The Nerd Machine, who sells shirts, hats, and accessories to show off your nerd pride. My t-shirt drawer is filthy with his shirts and I’ll probably pick up a few for my son and myself come July. In year’s past, I’ve gone to the panels appropriately named “Conversations for a Cause” which is basically an hour with Zach’s close friends to chat. How it differs from majority of the panels at SDCC is that the attendees dictate the conversation. One by one, they ask the special guest questions and they answer. It’s pretty simple but refreshing because the attendee participation during typical SDCC panels are maxed out at 3-4 questions at the end of the panel. I’m not going to lie. Trying to get tickets to these conversations have gotten tougher. I can reference Mordor and all that but I’m sure you get the picture. If you’re not 100% sure you want to attend a Nerd HQ “Conversation for a Cause” because you may have a conflict with an SDCC panel (or will be waiting in line hours before your SDCC panel), then you probably won’t score a ticket. Nerd HQ “Conversation for a Cause” are a commitment because most people who want to score tickets to the big special guests like Nathan Fillion or Joss Whedon are going to schedule their entire day around those panels. Consider grabbing these popular conversation tickets the way you would try to book an SDCC hotel, speed is the key. All tickets are handled by a third party company called Brown Paper Tickets and cost $22. Tickets go on-sale mid June, so check back at The Nerd Machine’s Nerd HQ page or their Twitter account for more info. My suggestion is to plan out which conversations you want to attend and get your fingers ready to speed through the purchase flow. That’s all the advice I can offer because it’s crazy. Here’s a sneak preview of what the Brown Paper Tickets purchase flow looks like (please disregard the content on the example pages; just trying to give you an idea of what the flow looks like). I would suggest signing up for an account before tickets go on sale and signing in so your information is populated in the appropriate fields automatically at the checkout page. And as an FYI, all funds are handled by PayPal, so if you don’t have a PayPal account, you should create one as well. Disregard the example, this is what the order page looks like. This is an example of your cart. This is an example of the step before redirecting to PayPal to complete your payment. If you don’t happen to get tickets, don’t fret because The Nerd Machine will live stream each “Conversation for a Cause” via their new media partner, IGN. It’s a great way to still watch the panels, though being in the room is an awesome experience in itself, believe me! If you still want a chance to meet your favorite special guest, thanks to the smartphone app, you’ll be able to get updates and alerts when a special guest will be taking photos at the photobooth or doing a signing for a small donation. In year’s past, I’ve never been able to participate in this because I was on the convention floor when my favorite special guest decided to do a signing or photobooth session. From my experience, special guests typically do a photobooth session either before or after their panel, so keep that in mind. But just in case, make sure you accept the push alerts on your smartphone to give you updates when a special guest does these cool sessions. You may have to drop everything and rush to Nerd HQ to get in line, unless you’re already at the location, so once you get that alert, decide quickly! I know we’ve chatted about a ton of stuff about Nerd HQ and it may sound daunting, especially with trying to get conversation tickets. But it’s really a good time and for a great cause. You can spend hours in the space with all the fun games and demos to play, and throw in a chance to run into a nerd celebrity, it’s worth checking out. And it’s known to be kid-friendly so as you’re little nerd is playing the newest video game, you can rest a bit from the garish San Diego sun. They’ve stepped up their game every year and this year isn’t an exception. So check it out if you need a break from the crowded convention floor and while you’re at it, donate to worthy cause.